Another long day at work and another day of a tutorial. I'm not sure why I started doing these tutorials. But I'm really not sure why I decided I should do them on Tuesdays, the day of the week I always work. Actually, I do know why. Because Tutorial Tuesday sounds better than Tutorial Friday or Tutorial Sunday. 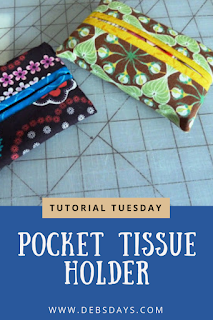 Today's video tutorial is pocket tissue covers. Something I wish I had with me at yesterday's funeral. Unfortunately, I only had McDonald's napkins to offer our daughter. They sufficed, but some pocket tissues would have been much more gentle on the nose and eyes. They are really easy to make. Just a few minutes and you'll have one. You can now find the complete pattern here. Here are some dellareya made after watching the tutorial. Here's what she said: I can't believe how fast these many went together. Thank you again. This is the first project I've gotten done a head of schedule in a long time. 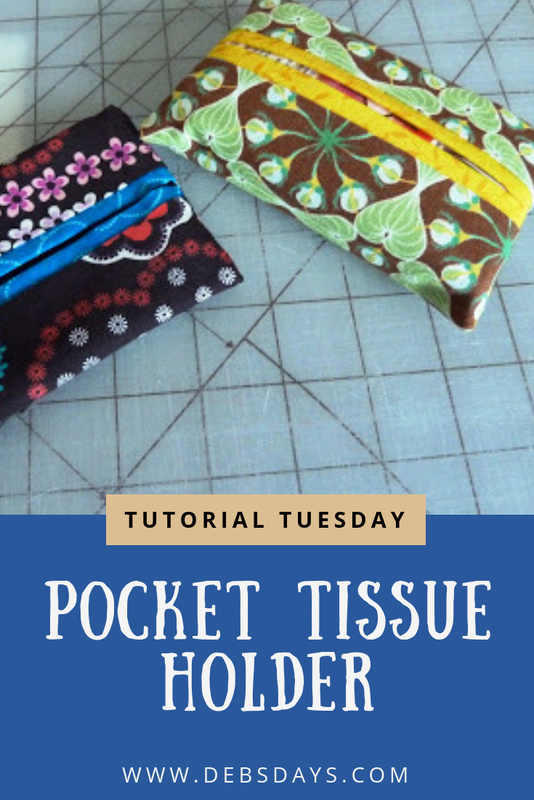 And Diana made some, too: I want to thank you for the wonderful Pocket Tissue Holder Tutorial..Its was fast, fun and easy!! I love it..I made 2 tissue holders in minutes, These are going to be given to my 2 granddaughters. Thank you so much. 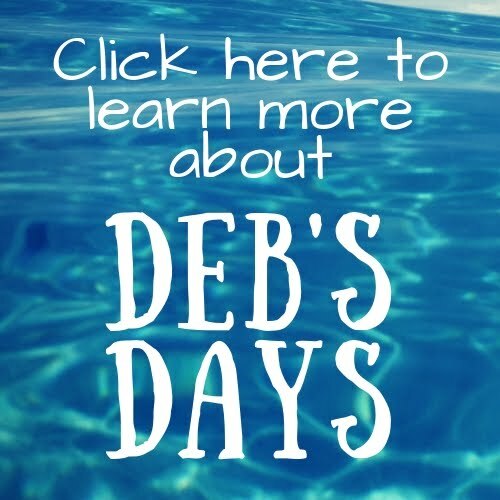 Do you have pictures of anything you've made after watching one of my tutorials? I'd love to show them off!